Texas Supreme Court to hear JBS Carriers Inc. and James Lundry v. Trinette L. Washington , et al. The Texas Supreme Court will hear the case of JBS Carriers Inc. and James Lundry v. Trinette L. Washington, et al. at 9 a.m. Wednesday, Sept. 19. The Texas Supreme Court will hear the case of Exxon Mobil Corp. v. The Insurance Co. of the State of Pennsylvania at 9 a.m. Monday, Sept. 17. The Texas Supreme Court will hear the case of Texas Health Presbyterian Hospital of Denton, et al. v. D.A. and M.A., individually and as next friends of A.A., at 9 a.m Tuesday, Oct. 9. The Texas Supreme Court will hear the case of Burlington Resources Oil & Gas Co. LP v. Texas Crude Energy LLC and Amber Harvest LLC at 9 a.m. Tuesday, Oct. 9. The Texas Supreme Court will hear the case of Michael Jose Sorrell Family LTD Partners v. Estate of Benjamin Carlton III at 9 a.m. Wednesday, Sept. 12. The Texas Supreme Court will hear the case of Thomas A. Lalonde Jr., et al. v. Paul and Kim Gosnell at about 9 a.m. Thursday, Nov. 1. The Texas Supreme Court will hear the case of RSL Funding LLC and RSL Special-IV Limited Partnership v. Rickey Newsome at 9 a.m. Tuesday, Oct. 9. Texas Supreme Court to hear Anadarko Petroleum and Anadarko E&P v. Houston Casualty, et al. The Texas Supreme Court will hear the case of Anadarko Petroleum Corp. and Anadarko E&P Co. LP v. Houston Casualty Co., et al. at 9 a.m. Monday, Sept. 17. 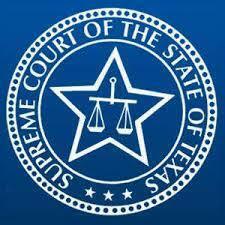 The Texas Supreme Court will hear the case of Compass Bank v. Franciso Calleja-Ahedo at 9 a.m. Wednesday, Sept. 12. The Texas Supreme Court will hear the case of Rohrmoos Venture, Eric Langford, Dan Basso and Tobin Grove v. UTSW DVA Healthcare LLP at 9 a.m. Monday, Sept. 10. In 18-0717, Truck Insurance Exchange and Team Health v. Marcus Hernandez and Diane Hernandez, Truck Insurance Exchange and Team Health sent a notice of appeal to the Texas Supreme Court. Appeal requested in case of Chip Buerger Custom Homes, et al. v. James Maroney, et al. In 18-0714, Chip Buerger Custom Homes Inc., et al. v. James Maroney, et al., Chip Buerger Custom Homes sent a notice of appeal to the Texas Supreme Court. In 18-0719, Lupe Acosta v. Alna Properties II LLC, Acosta sent a notice of appeal to the Texas Supreme Court. In 18-0696, Erasmo Cantu and Eugenia Cantu v. Falcon International Bank, the Cantus sent a notice of appeal to the Texas Supreme Court. Leave for appeal denied in Ernest Williams v. Flexfrac Transport, et al. In 18-0507, Ernest Williams v. Flexfrac Transport LLC, et al., Williams petitioned an appeal to the Supreme Court of Texas. In 17-0955, Methodist Healthcare System LTD LLP v. Nancy Friesenhahn, Methodist Healthcare System petitioned an appeal to the Texas Supreme Court.